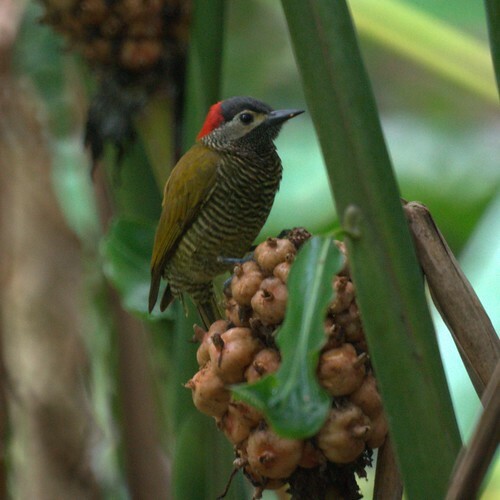 We adore our woodpeckers at home, so we knew we would be delighted if we were able to see some other varieties of woodpeckers in Trinidad and Tobago. While on the lookout for a Chestnut Woodpecker that had been seen by other birders, we were treated to an appearance by this lovely smaller Golden-Olive Woodpecker. Chris did get a good look at the Chestnut Woodpecker we were stalking, but Mike did not, which is another of many good reasons for a return visit to Trinidad and Tobago. Great birds guys! 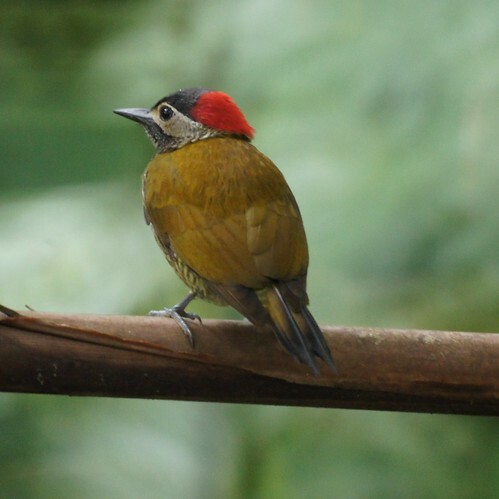 I'm a big picidae fan as well and some of the woodpeckers in the tropics are just awesome. Hope to see some of these species one day too.